This post featured among the 3 winning entries in the Blogadda Travel Photography Contest. According to Webster the etymology of Travel roots to torment, labor, strive, journey. I guess because in early ages traveling must have been a really difficult task. In our current, well cushioned, lifestyle traveling need not be a laborious journey. Though in a way I do agree that strive it is – strive to find something new, at times in the outer world and at others in your inner soul. To me it has always been an endeavor to search for answers deep within me, sometimes with the help of novel surroundings. Even though this blog has been a reflection of my journey, through the lens of my camera. I am compiling some of the photographs I have taken during my journeys. Stick around while I take a breather to reflect on the past excursions. 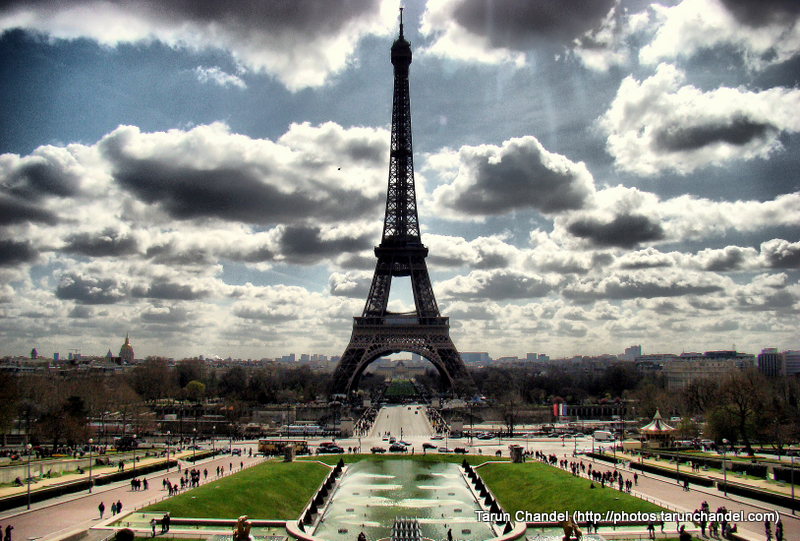 Front View of the Eiffel Tower, Paris France. On a sunny day in Paris you can just lie down on the grass for hours and keep gazing the Eiffel Tower. The life seems just so simple at that moment. It doesn't take much time to realize that no problem is insurmountable, if someone could build a tower like that, all your problems can be unraveled too. Along the Thames path you can find the best London has to offer. The city has the finest things on the banks of Thames. London Eye is very special, a modern day structure standing tall in midst of all the classic buildings, bridges and monuments. In a way it represents the today’s London, moving earnestly towards modernism and yet staying in touch with its classic demeanor. In the middle of fast moving life of Delhi stands still a classy structure. India Gate somehow brings a sense of calmness in the frenzied life of Dilliwalas. The big park around India Gate provides a place for people to relax, be it the shade of tree in scorching heat, or a place to dance in the rain or to spend a sunny day in the chilly winters. India Gate has been in the center of Delhi's lifeline in every season. Irrespective of the time of year, the nights at India Gate are always happening, with families coming out after dinner for ice-cream, couples catching up after work or the elders and kids having a stroll in the park. Mumbai has always been a city of dreams. I am yet to see another city with so many hopeful eyes that are full of dreams. The city has this romanticized notion of being a place where you can achieve anything that is possible and sometimes a bit extra as well. The arduous life makes you realize, daily, that the last sentence is far from truth. Yet people hang on to those hopes and their dreams. But you know what; those who keep searching do end up realizing their dreams. Dry Garden yet so fresh. I took this picture in Zurich, Switzerland. This one remains one of my favorite pictures and that too for an unusual reason. After taking a long walk along the Zurich Lake I reached a beautiful garden and noticed this brown patch in middle of a green garden. The odd part was that no one was interested in visiting this brown patch in the garden. From a distance it looked like a pile of filthy leaves in middle of the garden but as I approached it and got inside the ring of trees, I realized what a great place it was. Sometimes the most beautiful things go unnoticed as we are busy judging everything with our preconceived notions. I always feel glad when I look at this picture, as I chose to ignore the beaten path. Travel is about seeing new places, meeting people you never knew existed, taste different cultures and their food too. Travel help to widen your horizon; it helps you to build a better perspective of this world. Travel helps you to ask so many questions to yourself. Travel inspires you to solve problems, it makes you dream big. But more than anything, traveling helps you to connect with yourself. It helps you to find answers that were always inside you just that you never took enough time to search. It helps you to be a better you. Wonderful shots. All of them are great. I lovvvved 2 and 5! Wonderful shots! Lucky you! You seemed to have so much of the world :D Nice snaps! Awesome pictures Tarun. Love the vastness of your frames! I love the small description you have written for each place. Especially loved the Mumbai story, it is so true. The overall message is also good. Just amazing! Loved all of them..
great shots and the words add so much more to the pics. Liked your take on the dry garden, best things are on the ignored path. Great pictures and I like your take on the London Eye, so apt. I told you i loved your pics... Congratulations on winning the contest. Congratulation Tarun for winning this contest. Needless to say your pics are simply marvellous!!! Great Pics. Congrats on winning. Thanks everyone, stick around I have many more shots to click. Hey ur pics are too good Tarun ! I like the London's eye and the brown patch very much for some mysterious reasons ;-) Wonderful photography and hearty congrats on winning the Blog adda contest. Your photographs are amazing!!!!!! Loved each one ... I feel they are the best out of all I have seen till now. Congratulations. India Gate at night is absolutley stunning (so is every other picture)... you should publish a Coffee Table book with such fabulous photographs. My Personal favourite was India Gate as i have visited it many times but never it has looked so beautiful to me. Congrats foe winning Blogadda contest ! nice pics tannu..great!! keep clicking..all your pics are just wonderful.. 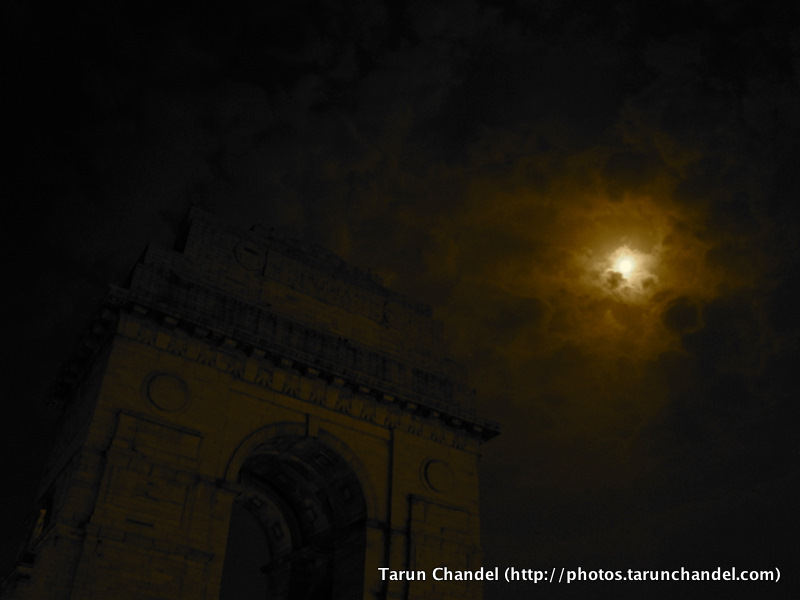 Awesome pics and India Gate one is just mind blowing. Congrats for the win, awesome pics. awwwww....lovely pictures!! Congrats on winning! Great pics Tarun, I am loving your pics. One question why have you reduced the size of the pics?? The pics at the start are bigger but others you have reduced. @Manav: Thanks for the appreciation. For the size of the pics, I have not reduced the size of older pics but I posting new pics at bigger size. I was posting at 800X600 earlier but now I am posting at 1000X800. Cheers. These photos look amazing. Somehow they inspire me to travel and see these places personally. Good job!